You may not know this, but Warsaw is a hotspot for studying many surprising languages. Find out what languages you can pick up in the capital of Poland and why Warsaw is often the number one place to do so. The ancient language of a remote Mesoamerican civilisation, the tongue of a civilisation once spoken in the very heart of Warsaw, a strange Germanic dialect spoken by some 20 people in a little Silesian town, and an Eastern Slavic language from a neighbouring country threatened by extinction are just a few of the languages to be learnt in Poland’s capital. You may have never heard of this language. And no wonder! Spoken by a handful of elderly people in the small southern Polish town of Wilamowice, Wymysorys (also known as Vilamovian or Wilamowicean) is sometimes considered the smallest micro-language of the Western Germanic linguistic branch. However, the Wymysorys population itself has consistently claimed Flemish descent. A mystery to linguists and ethnographers, the Wymysorys language and distinct Wilamowicean culture have been the subject of growing scientific research in recent years as well as attempts of reviving the language. Thanks to the efforts of local activists like Tymoteusz Król, Wymysorys is now once again taught in Wilamowice's elementary school. Starting in winter 2016 Wymysorys can be also studied in Warsaw, as part of the programme offered by Kolegium Artes Liberales (a faculty of Warsaw University). In recent years the Artes Liberales has run a series of long-term research projects centred around endangered languages which resulted in establishing Academia Wilamowicziana, among others. One of the results of this activity was this year's premiere of the Wymysorys-language version of J.R.R. Tolkien's Hobbit performed in Warsaw's Teatr Polski. The aforementioned Artes Liberales faculty may be the right place to study also when you’re interested in some more remote and exotic languages. Warsaw is one of the few research centres in the world to study Nahuatl, the ancient language of Mexico's Aztec civilization. 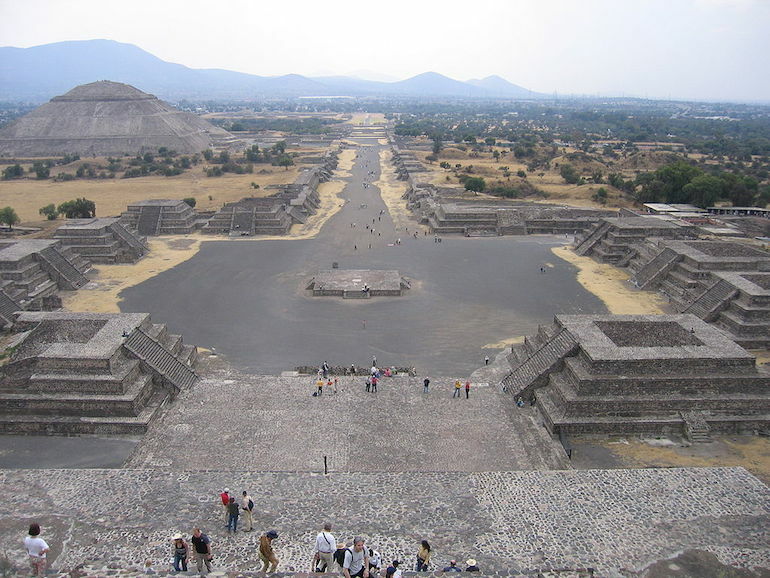 As Julia Madajczak of the Artes Liberales explains, Warsaw remains today possibly the best place in Europe to study Nahuatl on an academic level. The centre, which started in the early 2000s, is today one of the few places on earth where one can study the classical version of the language, as written down by Christian monks and their native disciples in the 16th century. The course is divided into three difficulty levels and run by experts from around the world, including Professor John Sullivan, an Nahuatl expert from Instituto de Docencia e Investigación Etnológica de Zacatecas in Mexico, as well as native speakers of contemporary Nahuatl from Mexico, who on their part come to Warsaw to study the classical language. Studying Nahuatl in Poland should offer no language barrier. As Julia Madajczak explains, the classes usually run parallel in several languages: usually Polish, English and Spanish. ‘We almost always have some students who don’t understand Polish or English, so we end up speaking in several languages. The materials we use are in English anyway,’ she explains. And if that wasn’t challenging enough, Kolegium Artes Liberales also offers courses in the Mayan language if you're inclined to indulge in deciphering its famously difficult glyphs. 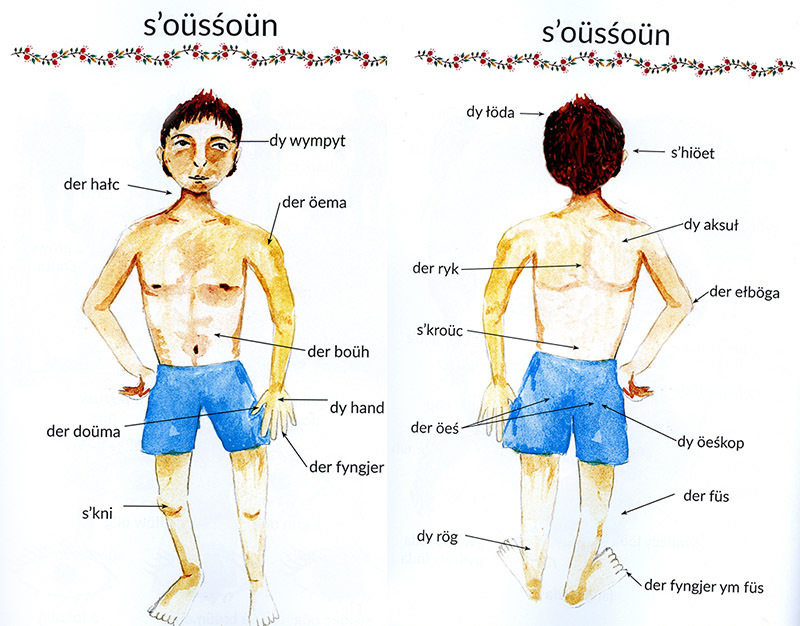 Belarusian may seem not as sensational or exotic a language as Nahuatl or Wymysorys. Still, over recent years this Eastern Slavic language spoken in Poland’s neighbouring country, has attracted new, if undesired, attention, as it found itself on the UNESCO list of endangered languages. This is caused by the low status of Belarusian in the Lukashenka regime, which has been reluctant to endorse the culture of the Belarusian language. With a waning number of Belarusian speakers, and many Belarusian schools being closed down, preserving the knowledge of Belarusian in the country has become somewhat of a challenge. In these circumstances, studying Belarusian in Warsaw where a big Belarusian diaspora has settled (estimated at around 50 thousand people, many of them students), may seem like a reasonable idea. This was the case for Ángela Espinosa Ruiz, a graduate student of Slavic Philology at the University of Granada. In 2015 Angela came to Warsaw precisely to study Belarusian at the University of Warsaw, which along with Białystok and Vilnius is one of the major research centres to study Belarusian language and culture. ‘I know you. You’re from Spain and you speak Belarusian better than I do’. 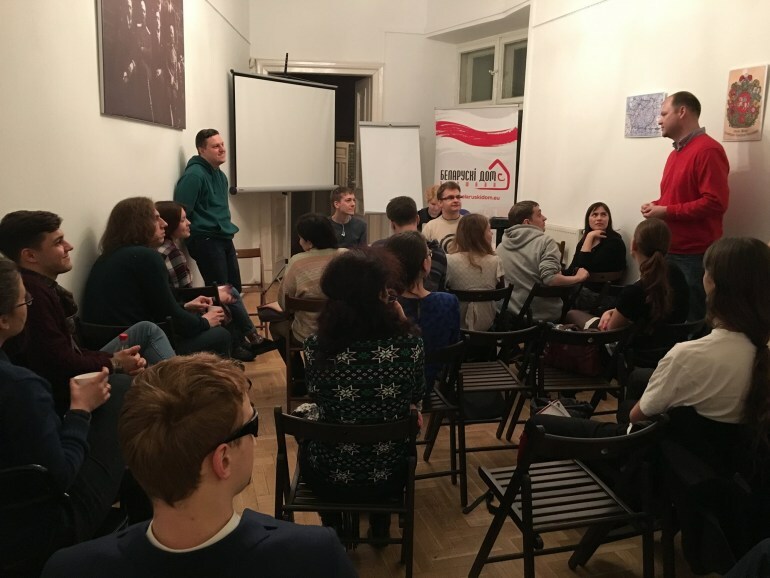 Apart from the academic path, one can also learn Belarusian in Warsaw as part of the language courses Mova Nanova, a grassroots movement which started in the towns and cities of Belarus to keep the language alive and which has by now extended abroad. The course is now available in the internet too (here). Once the heart of the large civilization of the Ashkenazi Jews, Warsaw bears little trace of this splendid past. Jewish Warsaw, razed to the ground by the Nazis in WW2 and rebuilt in the style of the Soviet era is in part built on the ruins of this vanished world. This annihilation was almost shared by the Yiddish language, the native tongue of the bigger part of Polish Jews who perished in the Holocaust, and which today is spoken almost exclusively in the US and Israel. And yet the language which has been virtually absent from the Polish environment after 1968, is making a hesitant comeback in Poland. In 2015 Yiddish was the language heard and spoken at the international research conferences organised in the Polin Museum (link; see video) and the Jewish Historical Institute (link). Every year the events of the Singer Festival fill the streets of former Jewish Warsaw with the sounds of several Jewish languages: Hebrew, Yiddish, English and Polish. 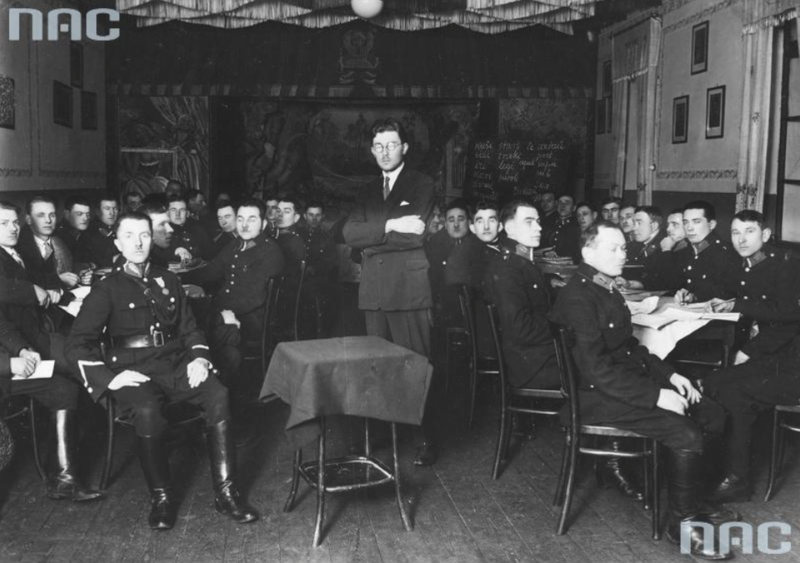 Today Yiddish is once again taught and spoken in its historical cradle, like in the courses offered by the Centre for Yiddish Culture (run by the Shalom Foundation) in Andersa Street where students learn Yiddish only metres away from the historic streets of the Jewish district: Nalewki, Gęsia, Franciszkańska. And the splendid Polin Museum is just around the corner. Apart from the regular courses, the Centre offers also a three weeks long summer seminar, a chance not only to pick up some Yiddish but also make international friends. Find out more. Those keen on taking the academic path can study Yiddish at Warsaw University (Judaistic Department) where it is taught by native speakers, among others Kobi Weitzner. But why learn all those languages in the first place? How about learning just one language that will allow you to communicate with people all over the world instead? This was the original idea behind Esperanto, when it was first introduced by Ludwik Zamenhof some 130 years ago. Zamenhof, a physician and an amateur linguist, believed that a new universal language would not only end all miscommunication among people but also eliminate wars and conflicts between nations. Esperanto may not have fulfilled all these goals, but with some 2 million speakers, it remains the most popular artificial language in the world. Few people know that the first book in Esperanto was published in Warsaw (1887) and that Zamenhof lived there for many years. Since Esperanto was conceived to be as easy as possible, it can be studied online, but you can also hone your skills in Poland. Pola Esperanto-Associo (Polish Esperanto Association) offers language courses in Warsaw, near Zamenhof's old house. And starting in autumn 2016, Esperanto is making its little come-back to the education system of its home town. It will be taught at the Warsaw University as a language course for intermediate learners.